I love breakfast sandwiches in the morning, but lets face it any sandwich not homemade is gonna be higher in calories, sodium, fat and chemicals. Thats not to say that i don’t LOVE Del Taco breakfast burritos or breakfast hot pockets, because i do but i know that they are bad so i try and make them infrequent. Recently i started making my own and was shocked by how easy it was! My go to veggies are onion, bell pepper, and tomato but mostly I use whatever is on hand in the fridge. 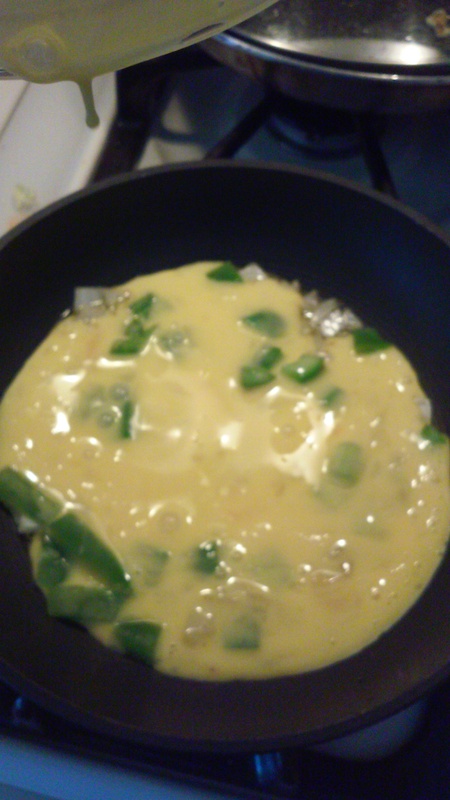 Today that is onion and bell pepper. 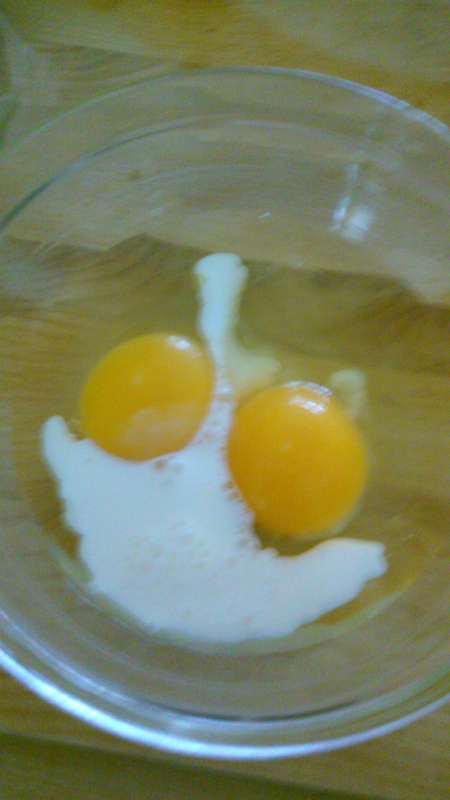 I use 2 eggs, though really i should use 1 egg and 1 egg white. I add a little bit of milk or half and half to add a little fluff to the eggs. 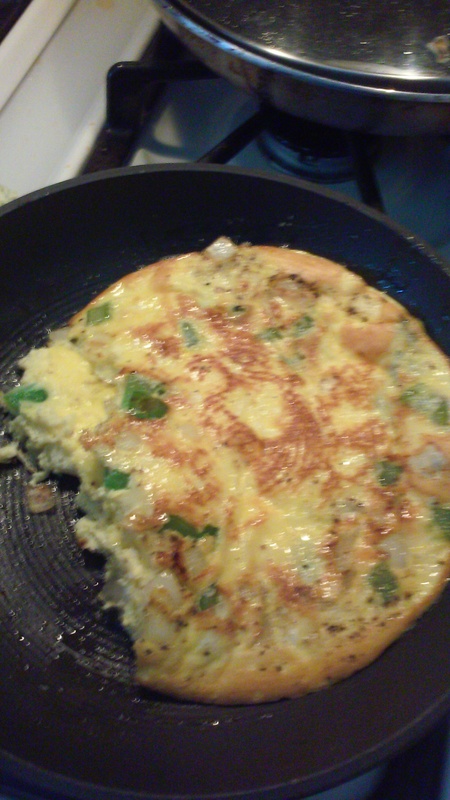 Blend with a fork to scramble then set aside. Start a little oil heating up in a skillet, i used olive oil. 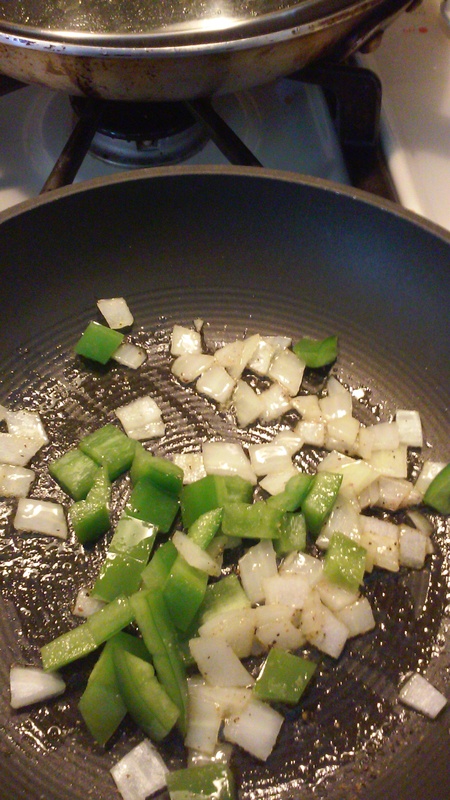 I add the onions, pepper and garlic powder (use whatever herbs you want) and let the onions cook for a minute or two then i add the bell peppers. I let eat veggie (or fruit in the case of a tomato) cook for a minute before I add the next. Then pour in your scrambled eggs. 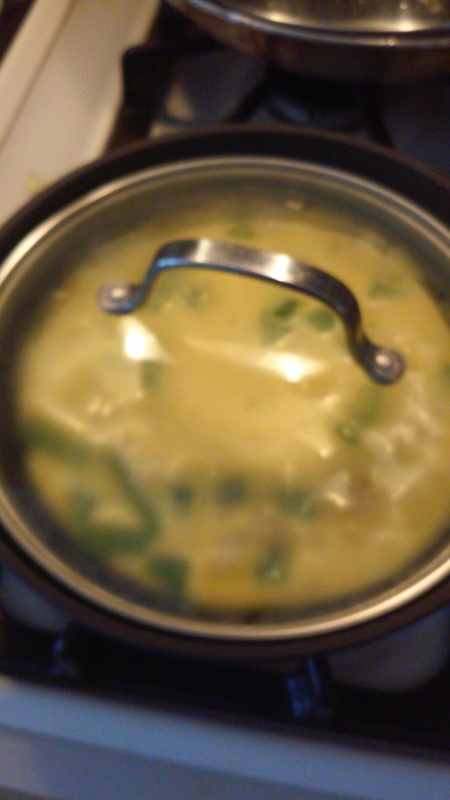 If i have a lot of time in the morning I turn the heat on low and put a lid on to let it cook slowly, if i am in a hurry i turn the heat on medium and cook and scramble it faster. The faster way is messier but it is faster. No, i am not perfect at cooking hahaha, but it will still taste great! When the eggs are almost done I put a whole wheat english muffin in the toaster and cut some cheese slices. 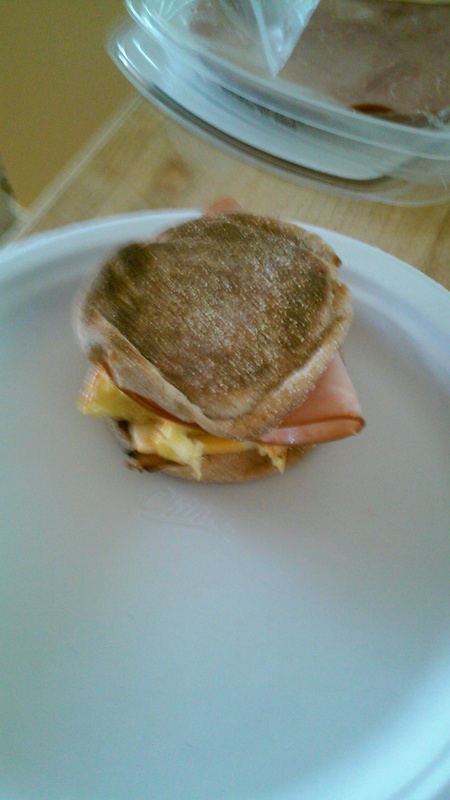 I put the cheese on the hot english muffin so it can start to melt then put the egg on then the meat. If there is spinach in the house i will throw some leaves on to get in some extra veggies. My brother adds mayo, my mom adds spicy brown mustard, and i either eat it dry or add salsa for some extra taste. 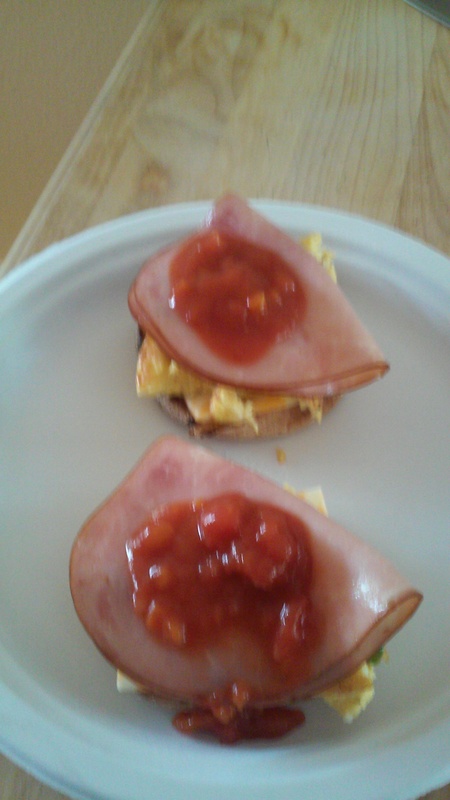 When i make too many eggs, like i did today, i turn it into two open faced sandwiches. 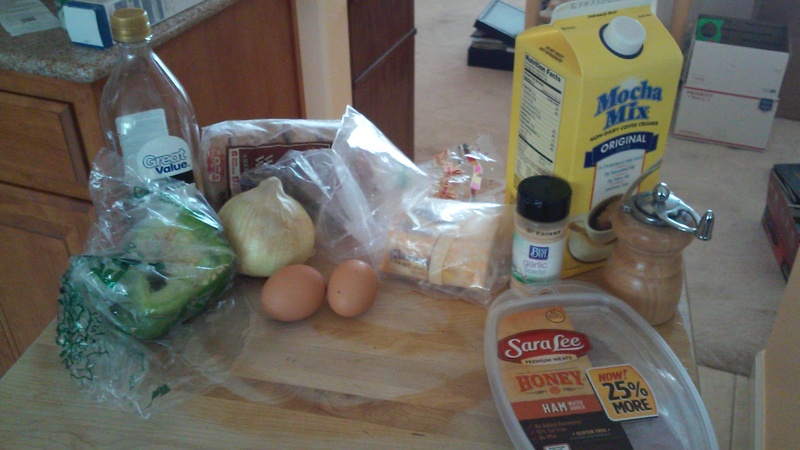 What do you put on your breakfast sandwich? I love black pepper on eggs. I’ll even give the bread alittle twist of the grinder just to get alittle extra. My go to with veg is the onion/shallot n tomato. Sometimes cheddar cheese too. But I love simplicity a toasted bun, crisped Canadian bacon or pepperoni, and a fresh egg with black pepper sounds great to me. This makes me think of the bacon frisée salad at my old job. It was bacon lardons, acidic vingerette dressing, frisée and poached eggs. We only served it at breakfast but really good.